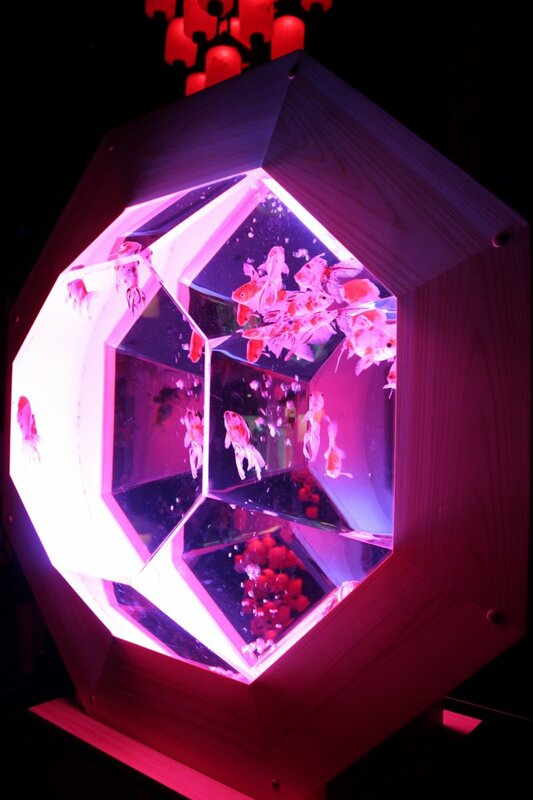 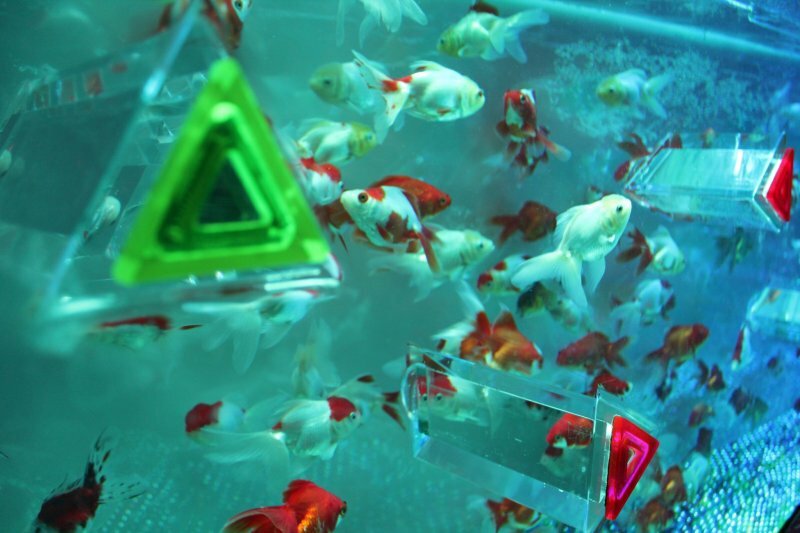 KALEIDORIUM: view the goldfish under a triangle kaleidoscope. 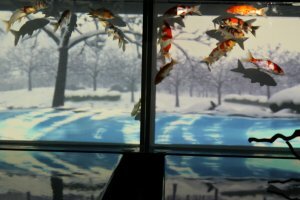 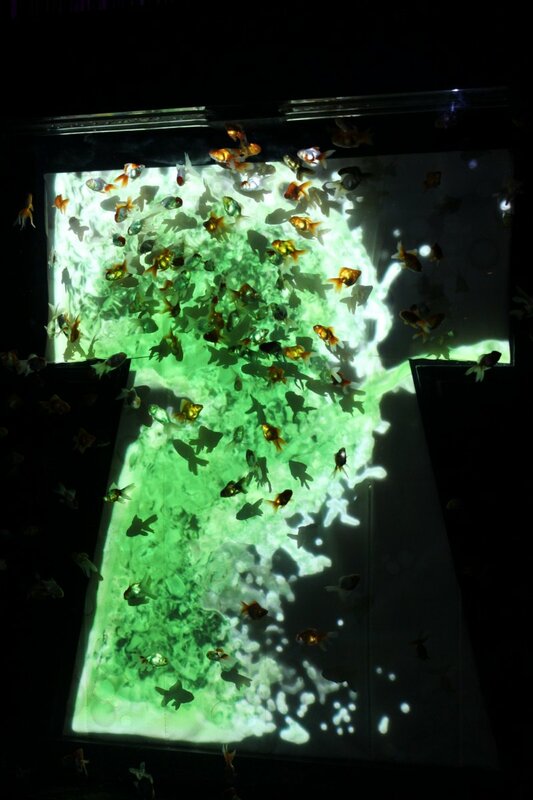 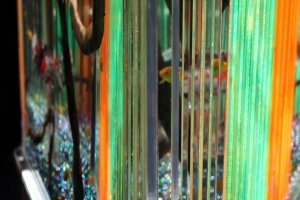 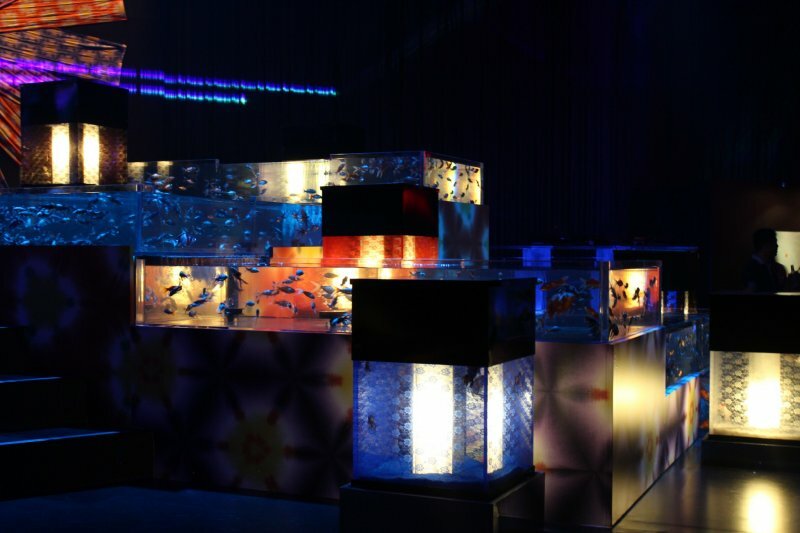 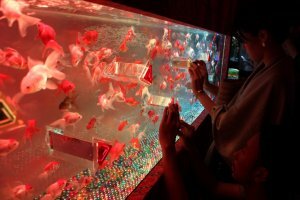 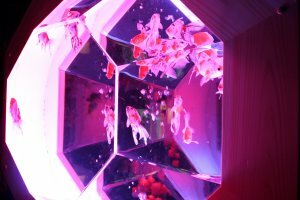 Technicolor lights and 5,000 kingyo (goldfish) inside 70 aquariums made up the installation from 'aquarium artist' Hidetomo Kimura. 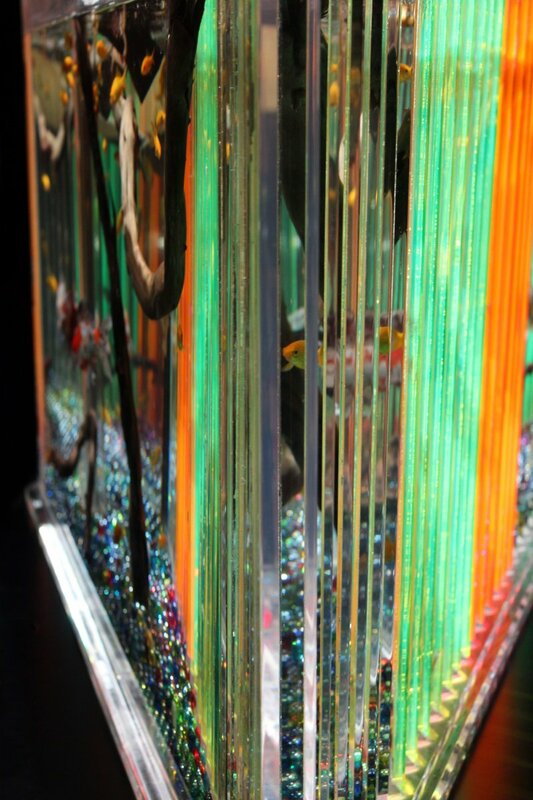 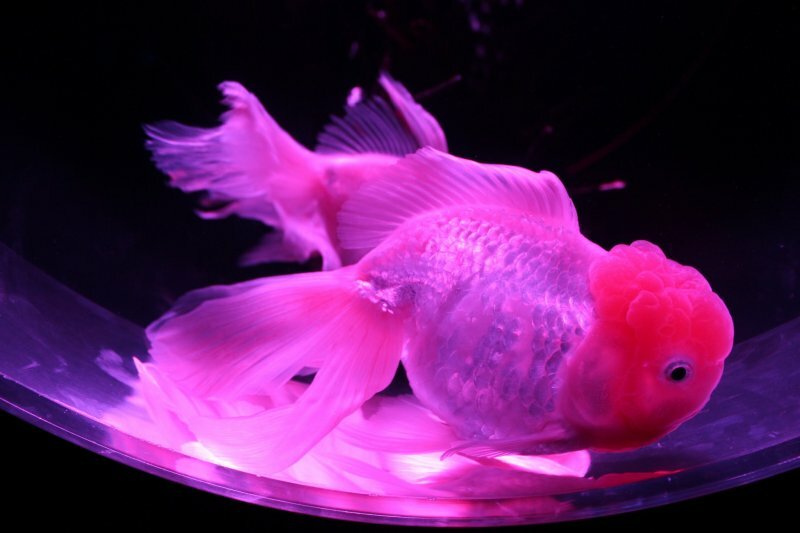 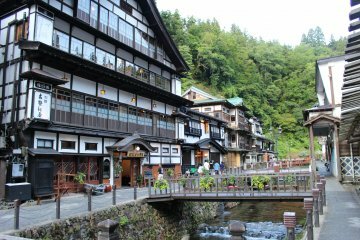 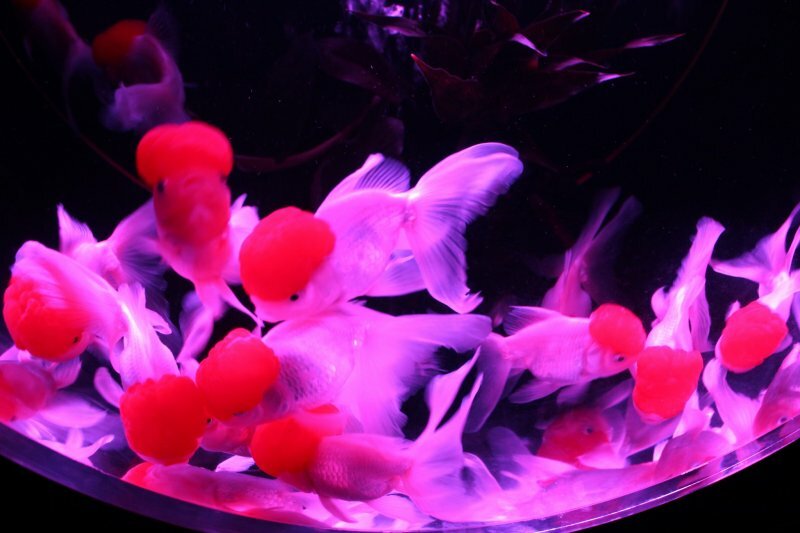 Kimura is the preeminent contemporary artist in the field of goldfish aquarium art, weaving the natural ecosystem of the fish with multicolor lights and geometrically-shaped tanks. 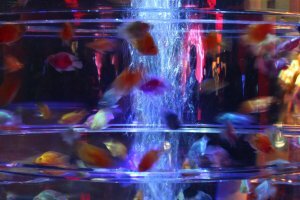 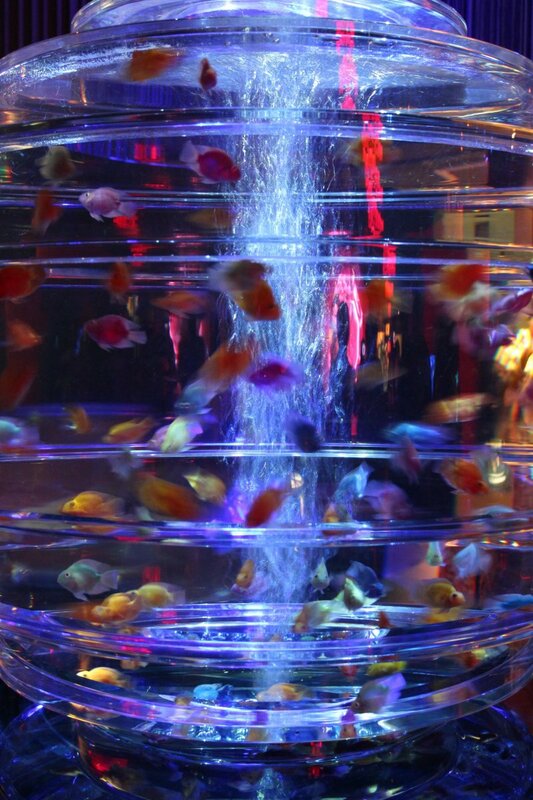 Come nightfall, the lights dim, the colorful illumination amplifies the beauty of the goldfish and the art aquarium transforms into a music lounge, with live DJs performing every Saturday. 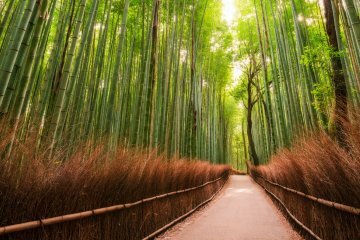 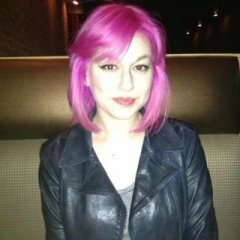 A free spirit who loves cats, ramen, nail art and of course, travel.